The process of photosynthesis is essential for all life on Earth. Without this process, plants and other autotrophs would not be able to grow and the nutrients they provide to heterotrophs would not be available. Use the following resources to learn more about this important process. 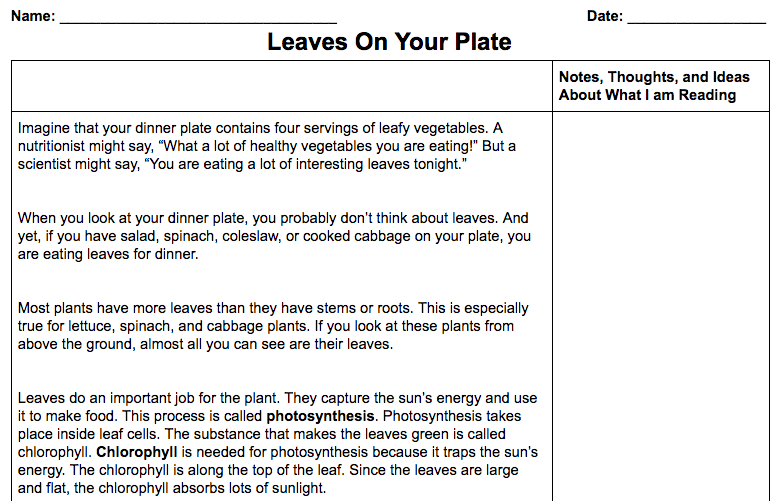 Click on the "Leaves on Your Plate" Image to open the document. Make a copy of the document and add it to your Google Drive. 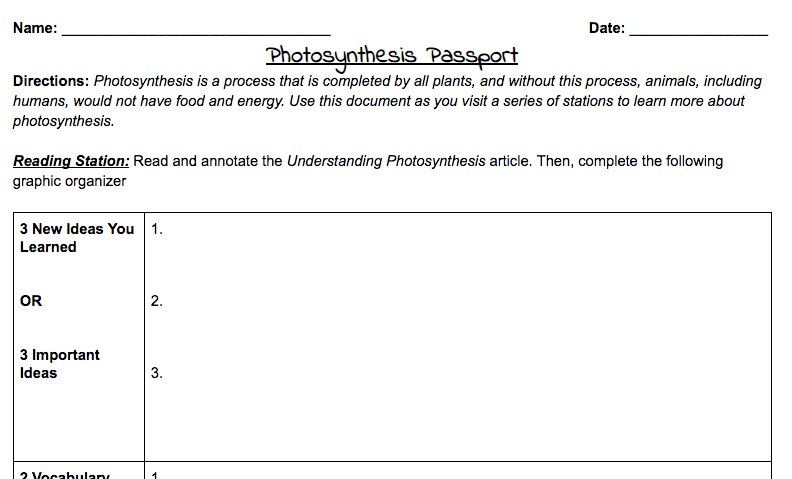 Follow the directions on your Photosynthesis Passport. Click on the Amoeba Sister video image. Set the Thermometer to 25oC and the Light Intensity to 10. Set the Thermometer to 10oC and the Light Intensity to 20.